A special ceremony held recently at the University Partnerships Programme (UPP) Cartwright Gardens development celebrated the completion of The Prince’s Trust Get Into Construction programme by a group of unemployed young people from London. Ahead of the ceremony the Prince’s Trust trainees took the opportunity to show local Councillor Georgia Gould, the Cabinet Member for Young People and Economic Growth, around the development site to see the progress achieved by their hard work and commitment to The Prince’s Trust scheme. 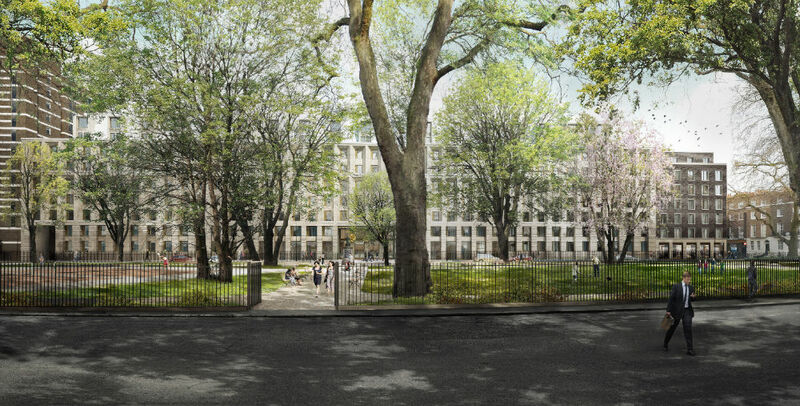 The individuals spent the last month training for their Construction Skills Certificate Scheme Card at the University of London and University Partnerships Programme’s (UPP) Cartwright Gardens development – a scheme to build 1,200 affordable student rooms in the heart of the city for the University of London, gaining valuable work experience with Brookfield Multiplex subcontractors. The Prince’s Trust Get Into programme gives unemployed young people the chance to gain vocational skills and training in specific sectors like construction, retail and hospitality. As well as gaining experience on sites like UPP’s Cartwright Gardens, the individuals have the opportunity to improve their teamwork and communications skills, as well as boost their confidence. Since 2010, UPP has been working in partnership with The Prince’s Trust supporting unemployed young people gain the skills and experience they need to take the first steps onto the career path. University Partnerships Programme (UPP) currently work with 14 universities in the UK, specialising in establishing long term partnerships with leading universities to fund, develop and operate campus infrastructure, academic and student accommodation schemes.